Gelo Fleisher, author of Shadowcursed, talks writing and indie game development all while working as a Certified Public Accountant. Kind of like Batman and Bruce Wayne… except he does your taxes afterward. Is Shadowcursed the beginning of a series. What can readers expect from the rest of the series after Shadowcursed? 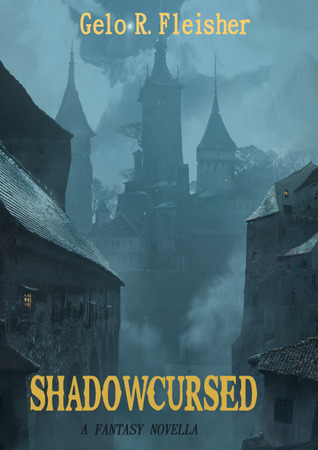 Sadly Shadowcursed is not the beginning of a series, but is rather a stand-alone story. Right now I’m not planning on writing another book in the Shadowcursed universe unless there’s a huge clamor for it (and I can think up of a good plot for a sequel). That being said, there is something of a semi-sequel in the works for the video game half of Shadowcursed. I’m an indie game developer as well as an author, and so after I wrote Shadowcursed, I built a free companion computer game titled ‘Requiem’ to go along with it. At the moment I’m about half way through a sequel to ‘Requiem’; here’s a screenshot of how it’s shaping up. I’m still very busy writing though and I’m currently about 20K words into my next novel, which will be a sci-fi detective mystery. Though each of my stories tend to be very different from the other, I think if people enjoyed Shadowcursed, they’ll enjoy this one too. Bolen’s rooftop antics were obviously inspired by games like Thief, but what was your inspiration for the character of Bolen and the city he lives in? Yes, the Thief series of video games were by far the largest inspiration. The original titles in the Thief series, back in the late 1990’s, had these gorgeous painted cut scenes. I was always struck by the somber beauty of their art, and the visual feel and timbre of Shadowcursed is an homage to them. The actual inspiration for the plot and characters came from different sources. The initial story inspiration was the idea of a thief having to destroy something beautiful in order to do his job. The main character, Bolen, grew out of this idea – that of a thief at the end of his career, doing one last heist that forces him to commit what ends up being a terrible crime, and makes him to reflect on his life and choices. Shadowcursed is part of a fan mission you created for the game Thief called Requiem. How do these two mediums fit together for the overall story? Plot wise, Shadowcursed and Requiem are very different. They both star Bolen and other characters from Shadowcursed, and they take place in similar settings, but they tell totally different stories. You can sort of consider them as being in parallel universes. What they do have in common are the same visual feel (being both inspired by the same source material) and narrative themes, regarding the fixing of past wrongs and the uncovering of a long buried evil. Because one (Shadowcursed) is a book, and the other (Requiem) is a computer game, they use very different narrative devices to tell their stories, but if someone wants to actually step into the shoes of Bolen, and navigate their way around a fantastical medieval setting (instead of just reading about it), then I think they’d enjoy Requiem. And best of all, it’s completely free. 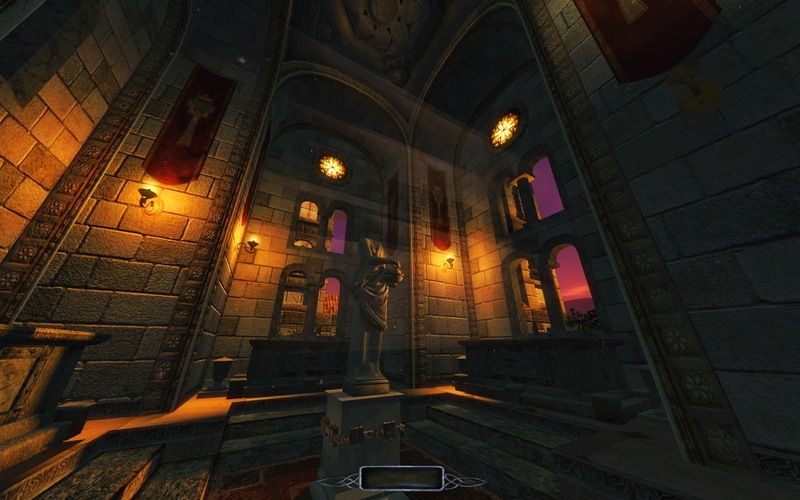 You recently won Square-Enix’s Thief level design contest for Requiem, the companion fan mission to Shadowcursed. How does a Certified Public Accountant become a video game creator and writer? Lots of late nights and a very supportive wife :-). I think a lot of people start out with dreams of pursuing a creative path (whether it’s writing, or art, or music, or game design) but soon find all their energy being sucked out of them by their day job. To counteract this, it’s important to surround yourself with people who you can interact with to keep your creative passions alive. For me it’s my family, my church, and a writing group that I’m part of. And of course you need to put in the hard work to actually get good at your passion, even if that means sacrificing some of your free time. But if you can do it, you can look back in a few years and realize that you’ve actually created something and shared it with the world, and that’s a great feeling. Bolen is an aging thief in an ancient city where the Mad King rules with an iron fist. Bolen takes on a job to bring in some money. To him the job is like any other, but what he finds reveals a dark truth about the city he’s come to know and the Mad King everyone has come to fear. As Bolen spirals into depression he is perilously thrust into the maw of a war between the Mad King and a mage that has secretly ruled the city for centuries. You know a book is good if you get to the end and you’re sad to see that there are no more pages to read. Shadowcursed is a short book, about one hundred pages. The character of Bolen is well developed, at least as far as his inner turmoil is concerned. He’s a thief, so he spends his time climbing up buildings and leaping across rooftops, which is bad if your knees are shot and your muscles aren’t what they used to be. Bolen’s rooftop antics remind me of games like Thief and Assassins creed. While the character and his motives were fairly straightforward I was confused by the purpose of the statue that Bolen steals and the reason why everyone wants it. The reasons were explained, but they seemed to be conflicting at times. There’s a setup in the book for the larger story to unfold through the series and in the book were given hints of this larger world which seems to be full of ancient gods and cursed magics.